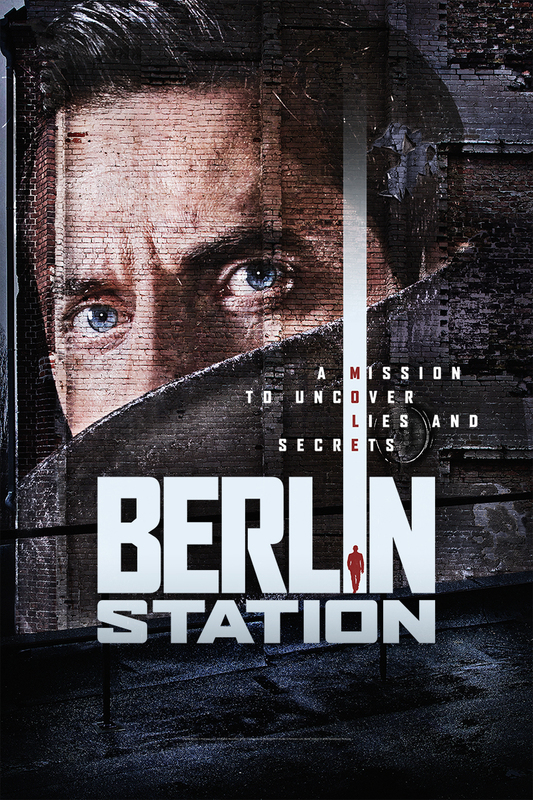 Delve into the world of high-stakes espionage with the “tense, multi-layered drama” (David Hinckley, Huffington Post) “Berlin Station” Season One, arriving on Digital HD February 21, 2017 from Paramount Home Media Distribution. The series follows Daniel Miller (Richard Armitage, “Hannibal”), a new arrival at Berlin’s CIA station who is on a clandestine mission to uncover the source of the Thomas Shaw leaks. Richard Jenkins (“Olive Kitteridge”) stars as Steven Frost, the head of the station, who carries the burden of his own secrets; Michelle Forbes (“The Killing”) stars as Valerie Edwards, the no-nonsense Internal Branch Chief; Rhys Ifans (Snowden) stars as Hector DeJean, a dark, charming and tenacious case officer and old friend of Daniel; Leland Orser (“Ray Donovan”) stars as Robert Kirsch, a devoted and successful deputy chief; and Tamlyn Tomita (“Resurrection”) stars as Sandra Abe, the assistant to Frost and a quiet presence lording over the efficient operation of the station. HOLLYWOOD, Calif. – Delve into the world of high-stakes espionage with the “tense, multi-layered drama” (David Hinckley, Huffington Post) “Berlin Station” Season One, arriving on Digital HD February 21, 2017 from Paramount Home Media Distribution. “An intriguing spy-thriller that keeps you on the edge of your seat” (K.L. Connie Wang, Parade.com), Berlin Station depicts the activity of a CIA office on a global stage in the midst of an investigation into a now-famous whistleblower. The series follows Daniel Miller (Richard Armitage, “Hannibal”), a new arrival at Berlin’s CIA station who is on a clandestine mission to uncover the source of the Thomas Shaw leaks. Richard Jenkins (“Olive Kitteridge”) stars as Steven Frost, the head of the station, who carries the burden of his own secrets; Michelle Forbes (“The Killing”) stars as Valerie Edwards, the no-nonsense Internal Branch Chief; Rhys Ifans (Snowden) stars as Hector DeJean, a dark, charming and tenacious case officer and old friend of Daniel; Leland Orser (“Ray Donovan”) stars as Robert Kirsch, a devoted and successful deputy chief; and Tamlyn Tomita (“Resurrection”) stars as Sandra Abe, the assistant to Frost and a quiet presence lording over the efficient operation of the station. 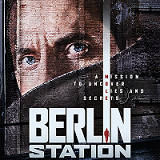 “Berlin Station” Season One aired on premium TV network EPIX® beginning in October 2016 and has already been renewed for a second season that is set to air in 2017. The show is produced by Paramount Television and Anonymous Content and created by New York Times best-selling author Olen Steinhauer (The Tourist, All The Old Knives, The Cairo Affair) who also serves as executive producer. Bradford Winters (“The Americans,” “Boss,” “Oz”) is the showrunner and an executive producer. Academy Award® winner Eric Roth (Forrest Gump, The Curious Case of Benjamin Button, “House of Cards”) and Steve Golin, Kerry Kohansky-Roberts, Keith Redmon and Luke Rivett from Anonymous Content (Spotlight, The Revenant, “Mr. Robot,” “True Detective”) also serve as executive producers.